"How a Reed Switch Works." "Demo for Beginners in Electronics." Reed Switch BS2 Example Code. 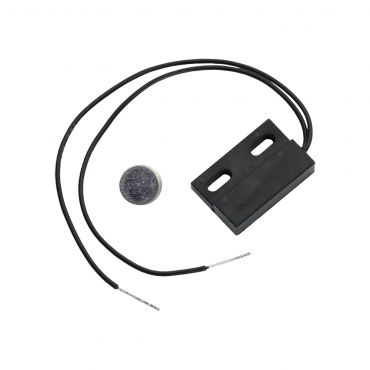 What is a Reed Switch? This reed switch works like a standard switch but uses a magnetic field rather than a push button or toggle lever. This is the same type of switch used in many security systems to detect a window or door being open. The Reed Switch comes with a magnet to get you started. Please see the documentation for more information and example code.